WASHINGTON (Reuters) - When America goes to the polls on Nov. 8, according to current and former U.S. intelligence officials, it will likely experience the culmination of a new form of an information war. A months-long campaign backed by the Russian government to undermine the credibility of the U.S. presidential election â€“ through hacking, cyber attacks and disinformation campaigns â€“ is likely to peak on voting day, the officials said. John Brennan, the current CIA director, declined to comment on the Russian efforts. But he said Russian intelligence operatives have a long history of marrying traditional espionage with advances in technology. More broadly, Brennan said, the digital age creates enormous opportunities for espionage. But it also creates vulnerabilities. 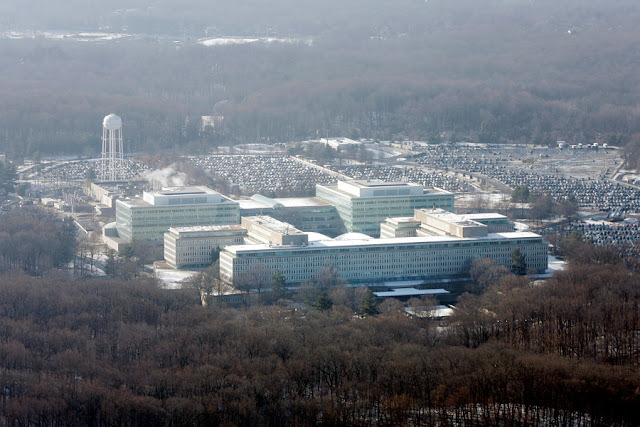 Weakening the role of the Directorate of Operations, the agency's long-dominant arm responsible for gathering intelligence and conducting covert operations, Brennan created 10 new "mission centers" where CIA spies, analysts, and hackers work together in teams focused on specific regions and issues. He also created a new Directorate for Digital Innovation to maximize the agency's use of technology, data analytics, and online spying. When a new American diplomat arrives for duty at the U.S. embassy in Moscow or Beijing, CIA official says, Russian and Chinese intelligence operatives run data analytics programs that check the "digital dust" associated with his or her name. If the newcomer's footprint in that dust - social media posts, cell phone calls, debit card payments - is too small, the "diplomat" is flagged as an undercover CIA officer. The Russian-backed campaign to discredit the U.S. election is not isolated. Hackers believed to have links to Chinese intelligence began stealing the personal information of 22 million federal employees and job applicants in 2014, the worst known data breach in U.S. government history. Islamic State's online propagandists continue to inspire lone wolf attacks in the United States even as the group loses territory. A senior official from the Directorate of Operations, who backs the shake-up, said the agency is experiencing its greatest test in decades. "The amount of threats and challenges that are facing this organization and this nation are greater than at any time in the last 30 years," said the official, who declined to be named. "The days of a black passport, a fistful of dollars and a Browning pistol are over." James Clapper, the Director of National Intelligence, praised Brennan and his efforts to retool the CIA for a new era in an interview. So did Lisa Monaco, Brennan's successor as the President Obama's Homeland Security and Counterterrorism adviser. But some current and former officials question Brennan's strategy, arguing his reforms are too digitally focused and will create a more cautious, top-heavy spy agency. At a time when the agency needs to refocus its efforts on human espionage, they say, the concentration of power in the new mission centers weakens the ability of the Directorate of Operations to produce a new generation of elite American spies. The reforms have hurt morale, created confusion and consumed time and attention at a time of myriad threats, according to interviews with ten former officials. Glenn Carle, a former CIA covert officer, supports Brennan and his reforms but said they have sparked a mixed reaction among directorate of operations officials who believe human intelligence is getting short shrift. At the same time, Brennan has stirred a different sort of criticism - that he has defied Congressional oversight. Liberal Democrats and libertarian Republicans in Congress say the Brennan-Obama tenure has been tarnished by a lack of transparency with congressional oversight committees and the public regarding surveillance, drone strikes and the agency's use of torture against terrorism suspects during the administration of George W. Bush. It's unclear how closely the country's next president will hew to Brennan's strategy. The front-runner, Democrat Hillary Clinton, has an incentive to beef up American cyber-espionage: U.S. intelligence officials blame the continuing leak of emails from her campaign on Russian-backed hacking. Clinton also expressed support for covert action in a transcript of a 2013 speech she gave to Goldman Sachs that was recently released by Wikileaks. Republican Donald Trump, meanwhile, pledged to make cybersecurity a top priority in his administration in an October 3 speech. "For non-state terror actors, the United States must develop the ability - no matter how difficult - to track down and incapacitate those responsibly and do it rapidly," Trump said. "We should turn cyber warfare into one of our greatest weapons against the terrorists." 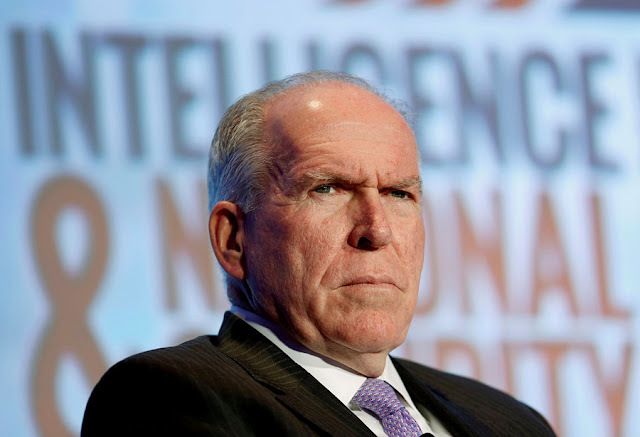 In interviews at agency headquarters in Langley, Virginia, Brennan declined to comment on either candidate or discuss operational details of the CIA. But he and eight other senior CIA officials gave the most detailed description yet of their rationale for the most radical revamp of the agency since its founding in 1947. "I look out at the next 10, 20, 30 years, and I look at technology, I look at complexity, I look at the global environment," Brennan said. "I think CIA really needs to up its game." Brennan, a 61-year-old native of north New Jersey, looks like a linebacker but talks like a technocrat. He speaks excitedly about how the CIA and other government bureaucracies can be configured in "a way to ensure optimal outcomes." The son of devout-Catholic Irish immigrants, Brennan speaks reverently of CIA officers as public servants who risk their lives without public accolades. He joined the agency in 1980, at the age of 24, after receiving a Master's Degree in government with a concentration in Middle Eastern studies from the University of Texas. Educated in various Catholic schools, including Fordham University, Brennan says he is an adherent of just-war theory - a centuries-old Christian theological argument that war is justified when it is waged in self-defense, as a last resort and minimizes civilian casualties. Those beliefs, he says, have guided him in one of the most controversial aspects of his tenure in the Obama administration. As Obama's White House counter-terrorism adviser and CIA director, Brennan played a central role in carrying out 473 U.S. airstrikes outside conventional war zones between 2009 and 2015, primarily by drone. U.S. officials estimate the attacks have killed 2,372 to 2,581 people, including 64 to 116 civilians. Human rights groups say the totals are vastly higher. Last year, for instance, a U.S. drone strike in Pakistan accidentally killed American aid worker Warren Weinstein and Italian aid worker Giovanni Lo Porto, who were both being held captive by al Qaeda. Brennan declined to comment on specific strikes, but said, "I still can look myself in the mirror every day and believe that I have tried to do what is morally right, what is necessary, and what is important to keep this country safe. " He also acknowledged mistakes. Today, Brennan says the United States faces the most complex array of threats he has seen since joining the agency 36 years ago. As a CIA analyst, operative and executive, he has lived through the Cold War espionage duels of the 1980s; the disintegration of nation-states after the 1989 fall of the Berlin Wall; the rise of non-state terrorist groups since 2001; and the current digital disruption. Now, he says, all four dynamics are converging at once. CIA officials say their greatest state competitors are the Russian and Chinese intelligence services. While smaller countries or terrorist groups may want to strike at the United States, Russia and China are the only two adversaries with the combination of skills, resources and motivation needed to challenge Washington. In recent years, Moscow's Federal Security Service, or FSB, has become adept at waging "gray zone" conflicts in Ukraine, Crimea, and Syria, the officials said. In all three countries, Russian intelligence operatives have deftly shrouded protagonists, objectives and war crimes in ambiguity. One target is America's increasingly politically polarized democracy. As Russian-backed hacking unfolded this summer, the Obama White House's response fueled frustration among law enforcement and intelligence officials, according to current and former officials. The administration, they said, seemed to have no clear policy for how to respond to a new form of information warfare with no rules, norms or, it seemed, limits. White House officials said the administration is still considering various methods of responding, but the responses won't necessarily be made public. China presents another challenge.Chinese businessmen and students continue trying to scoop up American state and economic secrets. In one bright spot, Beijing appears to be abiding by a 2015 pact signed by Obama and Chinese leader Xi Jinping that the two governments would not conduct economic espionage against one another. Chinese hacking appears to have slowed from the voracious rate of the past, which included hacking into the computers of the 2008 presidential campaigns of John McCain and Barack Obama but not releasing what was found. "The question is whether or not it is due to greater care in terms of covering one's tracks," Brennan said of the apparent change. "Or whether or not they realize that their brand is being tarnished by this very rapacious appetite for vacuuming up things." Regional powers are also increasing their digital espionage efforts. In 2014, the Obama administration blamed North Korea for the hacking of Sony Pictures's computer system. This spring, U.S. prosecutors indicted seven Iranian hackers for allegedly trying to shut down a New York dam and conducting a cyber attack on dozens of U.S. banks.They also indicted three Syrian members of the "Syrian Electronic Army," a pro-Syrian government group, who hacked into the websites of U.S. government agencies, corporations, and news organizations. In a 2015 case that U.S. officials said marks a worrying new trend, federal prosecutors indicted a 20-year-old hacker from Kosovo.With the help of a criminal hacker, Ardit Ferizi stole the home addresses of 1,300 members of the U.S. military, providing the information to Islamic State and posting it online, and calling for attacks on the individuals. Ferizi was arrested in Malaysia, where he was studying computer science. In September, he pleaded guilty in a U.S. federal court and was sentenced to 20 years in prison. "This blend of the criminal actor, the nation-state actor and the terrorist actor, that's going to be the trend over the next five years," said John Carlin, who recently stepped down as head of the Justice Department division that monitors foreign espionage in the United States. But some active clandestine officers argue that the intelligence community has grown too reliant on technology, a trend they trace back four decades to the directorship of Stansfield Turner. Satellite photography, remote sensors, and communications intercepts have become more sophisticated, but so have encryption techniques and anti-satellite weapons. More important, they argue, is that technology is no substitute for "penetrations" - planting or recruiting human spies in foreign halls of power. The CIA missed India's 1998 nuclear tests and misjudged Saddam Hussein's arsenal in 2003 because it lacked spies in the right places. Today, these current and former CIA officials contend, American policymakers have little insight into the thinking of Vladimir Putin's inner circle. Presidents, kings, and dictators often don't share their true intentions electronically, putting this valuable information largely beyond the scope of digital spying. The best sources are still people, and these officials believe the agency is not mounting the kind of bold human spying operations it did in the past. Brennan and other CIA officials flatly denied downplaying human intelligence. They said aggressive, high-risk human spying is under way but they cannot go into operational detail. One of Brennan's predecessors, Michael Hayden, former CIA chief under President George W. Bush, says the agency strayed from its core mission during the Bush years. After the Al Qaeda attacks of Sept. 11, 2001, Hayden said, the CIA had shifted to become a paramilitary organization that devoted its most talented officers to tracking and killing terrorists. It now needs to reverse that trend by focusing on espionage against rival nations, he said. "The constant combat of the last 15 years has pushed the expertise of the case officer in the direction of the battlefield and in the direction of collecting intelligence to create physical effects," said Hayden, using an intelligence euphemism for killing. "At the expense of what the old guys called long-range, country-on-country intelligence gathering." Brennan and the eight other senior CIA officials made the case that their modernization effort will address the needs and threats described by Hayden and others. Technological advances, they said, have leveled the intelligence playing field. The web's low cost of entry, creativity and speed benefits governments, hackers and terrorists alike. A veteran covert operative who runs a new CIA mission center compared Brennan's reforms to the Goldwater-Nichols Act. The landmark 1986 legislation reorganized the U.S. military into a half dozen regional commands where the Army, Navy, Air Force and Marines work together. It was a response to inter-service rivalries that bedeviled the American military in Vietnam. The CIA equivalent involves having the agency's five main directorates - Operations (covert spies), Analysis (trends and prediction), Science and Technology (listening devices and other gadgetry) and Digital Innovation (online sleuthing) and Support (logistics) - provide the personnel needed by each regional mission center. Andrew Hallman, director of the new Directorate for Digital Innovation, said the CIA has embraced cloud computing as a way to better share intelligence. In a move that shocked insiders and outsiders, the CIA awarded an $600 million contract to Amazon in 2013 to build a secure cloud computing system where multiple CIA databases can be quickly accessed. For decades, different directorates maintained their own separate databases as a security measure, said Hallman. Some of the applications the agency used were so old - up to 30 years - that the manufacturer was no longer in business. Turning to Amazon was designed to immediately put private-sector computing advances at the fingertips of CIA operatives. It was also an admission that it was easier for the agency to buy innovation from the private sector than try to create it internally. 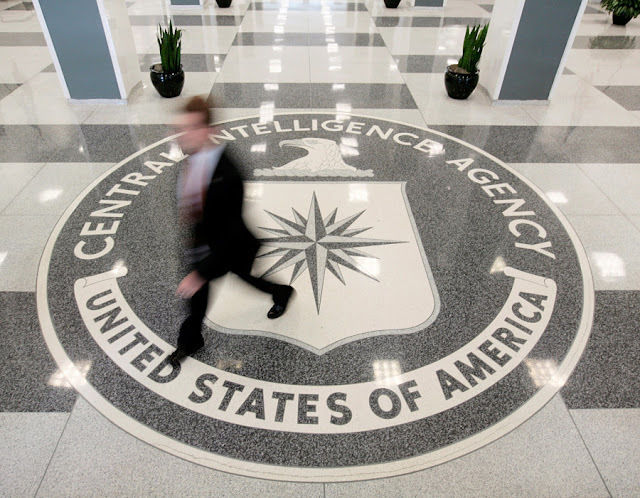 Several former CIA officials criticized the new team-focused system, saying it dilutes the cultures that made each agency directorate strong. The best analysts are deeply skeptical and need to be separated from covert operatives to avoid group-think, they said. And the best covert operatives are famously arrogant, a trait needed to carry out the extraordinarily difficult task of convincing foreigners to spy for America. Richard Blee, a former CIA clandestine officer, said the agency needed reform but highlighted a separate problem created by technological change. Instant secure communications between CIA headquarters and officers in the field has centralized decision-making in Washington, Blee said. And regardless of administration, senior officials in Washington are less willing to take a risk than field officers - virtually all of whom complain about headquarters' excessive caution. "The mentality across the board in Washington is to take the lowest common denominator, the easiest option, the risk-free option," Blee said. "The Chinese are taking tough decisions, the Russians are taking tough decisions and we are taking risk-averse decisions. And we are going to pay a price for that down the road." Brennan says his reforms will empower CIA officers: The integrated teams in each new mission center will improve speed, adaptability, and effectiveness. "To me, that's going to be the secret of success in the future, not just for CIA but for other organizational structures,"Brennan said. "Taking full advantage of the tools, capabilities, people and expertise that you have." The old ways of spycraft, Brennan argues, are no longer tenable. Asked what worries him most, he gave a technocratic answer: Twentieth-century American government management practices are being rendered obsolete in the digital age.